Enjoy convenient accommodations right on campus and walk to Sanford Stadium on game day. 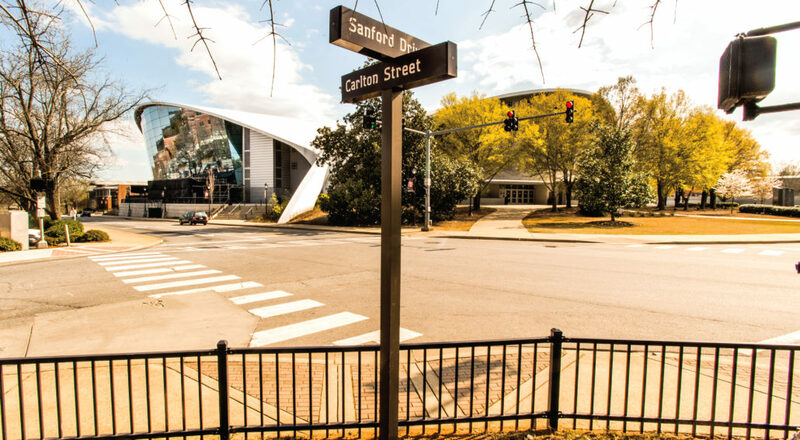 The University of Georgia Center for Continuing Education & Hotel is located a short 1/3-mile stroll to Sanford Stadium, making it the ideal hotel for diehard Bulldawg fans! When you stay at the Georgia Center, you not only receive a key to your UGA hotel room, you receive a key to campus. As the official and only hotel located on campus, our UGA hotel offers guests unique access to the university and everything it has to offer. On game day, join our festivities along with Hairy Dawg, Uga, the UGA Cheerleaders, and other Bulldawg fans. On the off season, come back and enjoy the quiet and beauty that Athens and our campus have to offer. Stegeman Coliseum is Right Behind Us! Better yet, come check into your UGA hotel room and then go and check out the other 18 varsity sports played at UGA, including those played at Stegeman Coliseum, just steps from our front door! 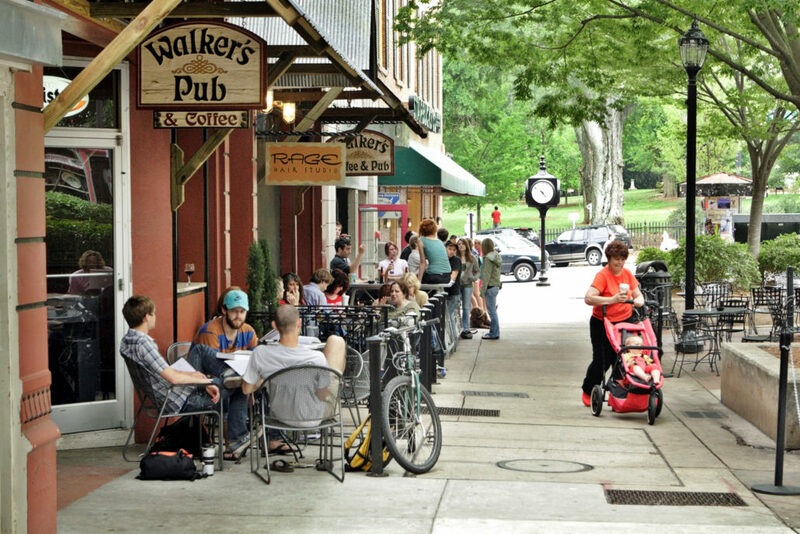 On Campus, Steps from Downtown! The Georgia Center is located in the heart of the UGA campus, just a few minutes from downtown Athens. We offer great hotel rooms and suites, amenities that relieve stress and enhance your stay, including free shuttle rides to downtown and other area attractions, state-of-the-art conference facilities, and a variety of onsite dining options. 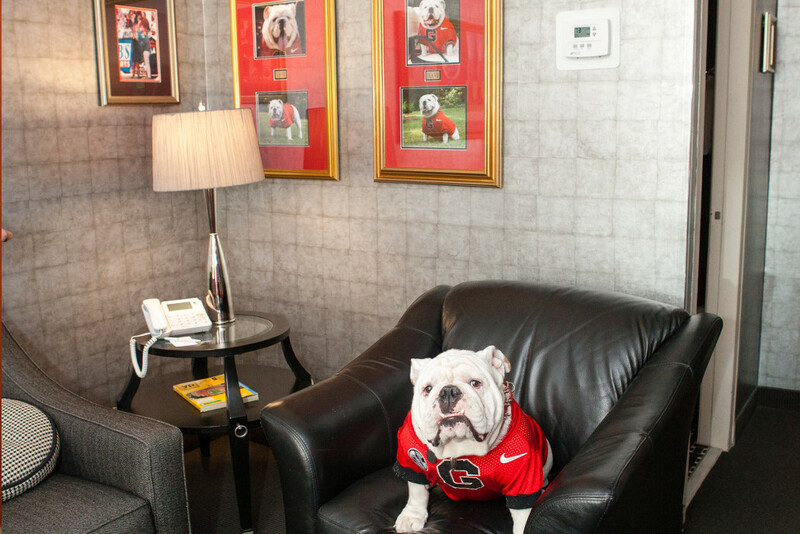 Our beloved Uga X stays at our hotel on gameday where he has his own suite: the Uga Suite. Uga X is a member of the Seiler family from Savannah Georgia, and, on gameday, the entire family enjoys the VIP treatment that dawgs deserve. 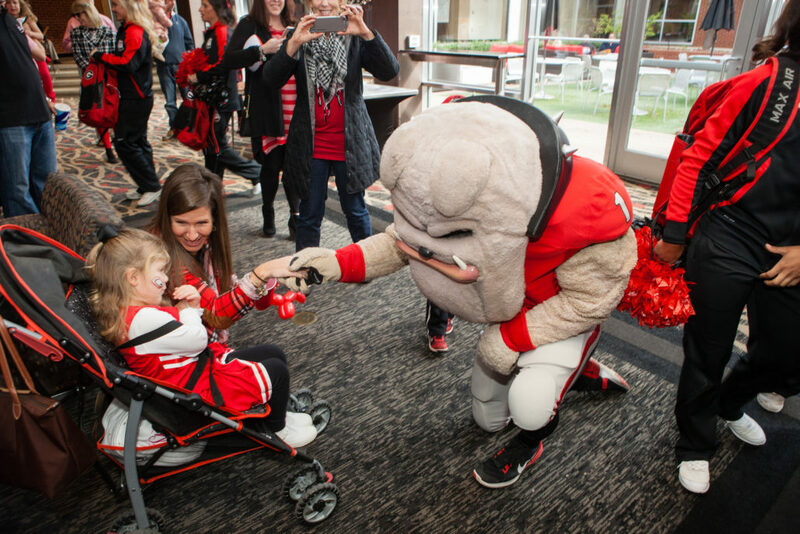 During the 2017 Football season, Uga X’s gameday pampering was featured on ESPN!